I chuckled a little as I listened and thought of our own remodeling a few years ago. We used a crock pot, a can opener and fast food to get by. I think of many times in my life when I felt as though I was being remodeled. C.S. Lewis once wrote about remodels when he talked about the mansion Jesus plans to build of our lives. A mansion with plenty of enlarging and remodeling experiences. My foster daughter, Josie and her husband and four children are going through a remodeling right now. The truck that smashed into their apartment left them practically homeless. David’s parents welcomed them into their own home for the first month or so after the event. They are coming to live in our home next week as they continue to look for a home. David and Josie are good examples of trying to look past the bags, boxes, suitcases, lost toothbrushes and not-home feeling as they prayerfully save and scrimp and visualize their future home. The next time I get that anxious, worried, “take a deep breath”, “I just can’t do this” feeling, I hope I will stop and think of my heavenly home and remember the finished “product,” my Father, Jesus and others greeting me. Also a place where I don’t have to search for forks. I think my voting ballot should look something like this! Proposal: The sky should be blue! 1. We’re used to it that way. Stability is important! 4. We would never be able to agree on what color to change it to anyway. 5. God made it that way! 3. NOONE IS RECOGNIZING MY NEED FOR INDIVIDUALITY! Our series of events may not be as earth shattering or shocking as the movie but its real none-the-less and it happened last night. Our series began when our daughter, Cindy, mentioned that there was a really great play in town at a local theater. Her children loved the musical The Ark, and they just HAD to see it! Cindy invited us to join them and bought tickets so we could all go. The first sign of trouble happened when Cindy’s classes at the University of Phoenix were changed from Mondays to Thursdays. The play, of course, was on Thursday. Not to worry, Dan and I decided to take the kids ourselves while she was at school. I got a sitter for 1 year old Joshua and looked forward to enjoying the other three children along with Dan. Half an hour before Cindy left for school she closed the door to our room and focused as she finished homework for her new class and I was watching Joshua as he and 4 year old Michael played in the crisp autumn leaves as the gold, green and brown colors mixed together to form an inviting topping for the green grass beneath. Three times I felt prompted to interrupt Cindy’s studying to get the tickets. Instead I asked “Michael, I need you to go ask Mommy for the tickets Okay?” He nodded his head and went inside. In the meantime a neighbor stopped by and I forgot all about Michael’s errand. Time flew and Cindy dashed out the door to go to school and I didn’t have the tickets! It was almost 6:00 when Dan arrived from work; the play began at 7:00. We quickly got the kids to the table for dinner and between bites of chicken I remembered that I still didn’t have the tickets! Dan took over with the kids and I quickly drove to her school then spent half an hour hearing about confidentiality and trying to find out where Cindy was, only to learn that her new class was located on a different campus! By now the play had already begun. Dan asked if I knew which building it was in or where to park. Daaah! As we drove around looking for parking Michael asked “When will we be at the play?” and 7 year old Tiarra kept singing songs from the play with Kalli. “Please guys” I begged “we’re pretty stressed right now. Please whisper!” The whispering lasted approximately 2 seconds before the volume continued as before. By now I was practicing deep breathing so much I thought I might pass out! Dan let me out to see if I could learn where we should go. I rushed toward an open door of Salt Lake Community College. I began at the student barbershop discreetly inquiring of 3 students “Do you know where the theater is that is playing The Ark?” These students had no clue so I decided to try the shot gun approach. I entered and walked through the doorway of the beauty shop where about 15 people were being shaved, cut or permed. “Anybody know” I shouted above the buzz “where the theater on campus is that is playing The Ark?” After observing several amused, shocked or passive expressions I got “Nope,”,“Sorry” or the shaking of heads (I hope I didn’t cause any haircut accidents). I ran out of the building and jumped into the car. After catching my breath I suggested “Let’s park.” Parking was not easy but finally we found a spot, fed the meter with what change we could muster then began our trek around the College campus with three kids in tow. Half an hour later we found an information desk where we were told that there was no theater at that campus, it was at the south campus (of course). After taking the babysitter home (at least this time I knew where she lived) I drove home and counted the many unfortunate events that led to the fact that we missed our beloved play. Most of all I thought about when I felt I needed to talk to Cindy about the tickets and sent Michael instead. I wish I would have listened more closely to my own personal commandment “YOU need to talk to Cindy about the tickets.” So now as I complete the processing of this event I pray “Dear Lord, please forgive me for not listening. Please help me REMEMBER to listen and obey so that next time I can avoid the series of unfortunate events! Power Point Presentation about Bipolar Illness Packed with Possibilities! When I was young, my Mother used to tell people that my emotions were either all the way up or all the say down. 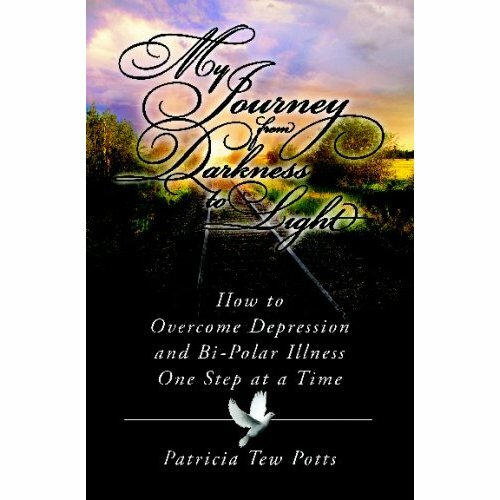 We have created a power point in patriciapotts.com that summarize the ups and downs of bipolar illness, it’s symptoms as well as remedies in a presentation that takes less than 10 minutes! Enjoy!